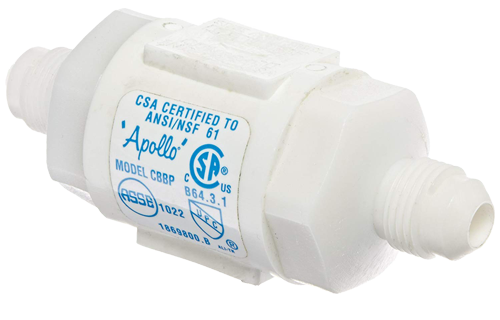 ASSE 1022 – Carbonated Beverage Backflow Preventer (CBBP) | Backflow Solutions, Inc. The CBBP is a type of DuCV that is specifically designed for post mix carbonation systems and coffee makers. Construction of a CBBP is either plastic or stainless steel because of the presence of carbon dioxide in a carbonation system.